Some time ago we published a review of Concrete5, wherein we evaluated the usability prospects of the CMS as a stand-alone software to power your website. Carrying on from the review, in this article, we will compare Concrete5 to the world’s most popular CMS, WordPress. Wanna know how the two CMSs fare in comparison to each other? Read on! Just like my previous article comparing WordPress and MODX, in this one as well, I will stay aloof from discussing issues such as interface and layout. Reason? Well, if you have used either CMS for a good duration of time, you will find yourself accustomed to the interface and layout. Similarly, the very phrase ‘user friendly software’ is a subjective notion, and the definition of ‘user friendly’ differs from person to person. As a result, in order to conduct a free and fair comparison, I will be considering only certain specific playing grounds. That said, how do WordPress and Concrete5 fare when pitched against each other? After all, WordPress has established itself as the de-facto standard when it comes to ranking CMSs in terms of popularity, and if any CMS were to dethrone WordPress from its apex position, I don’t think it would be Concrete5. On the other hand, Concrete5 surely has merits of its own, and in my personal experience, if I have to consider a CMS, no matter what the nature of the target website is, Concrete5 always finds itself shortlisted. Lastly, Concrete5 itself does not seem to be in love with WordPress. Each time I compare two or more CMSs or Linux distros, the segment about target audience and user base sets the mood as well as the direction that the comparison goes on to take. This one will be no exception. What about Concrete5? This is where the interesting part comes into effect: unlike MODX, Concrete5 manages to have a target audience which is eerily similar to that of WordPress. The average user of Concrete5 is not someone who wishes to have the customization prowess as offered by MODX. Instead, the average Concrete5 user is extremely similar to the average WP user: blogger, artist, magazine website creator, and so on. Of course, exception apart, that is. Now, if both WP and Concrete5 have a more or less similar user base, how do we set one apart from the other? The difference lies not in the nature, but in the level. Your average WP user base includes a good section of folks who are absolute beginners (not just with CMSs but with web development/design in general): probably they’ve come from WP.com, or have been impressed by the ‘XYZ Themes for Your WP Website’ roundups). However, such users cannot be in majority — argue all you want, this section is rather dynamic and volatile: beginner today, expert tomorrow. Concrete5 user base, on the other hand, tends to have distinct sections of users, ranging from mediocre level folks to absolute experts, and a generous sprinkle of newbies. However, a Concrete5 newbie is way different from a WordPress newbie: most likely, someone has already used WP for couple of years, and is now just playing around or experimenting with Concrete5 as a newbie. To put it differently, generally, a newbie is more likely to begin with WP and then move on to Concrete5 (not vice-versa). In easier words, Concrete5 user base is such that it can and does include migrants from WP. On the other hand, WordPress user base generally has permanent migrants from Joomla!, Drupal or Movable Type, but rarely from Concrete5. This brings me to my next point. Let’s pause the CMS user base debate for a moment, and focus on the bigger picture. When we were comparing WordPress with MODX, the difference became manifest while talking about administration and security. However, between WordPress and Concrete5, the difference is not so direct and visible. In terms of administration, both the CMSs do a fairly even job of abstraction coupled with efficiency. Ever since the WordPress 3.5 update, I haven’t liked the new Media Manager a lot. Similarly, with the new releases of Concrete5, I’m not an ardent fan of the drag and drop functionality either. Yet, there are people on both sides of the fence who are happy with the respective features, and so there isn’t much for me to complain here. Similarly, in terms of security as well, Concrete5 has managed to steer close to WordPress. Trust me, pick any big or small topic: administration, security, target audience, update mechanism — you will have a hard time claiming WordPress superior to Concrete5. In other words, Concrete5 exhibits an equally nifty level of abstraction and functionality as WordPress. 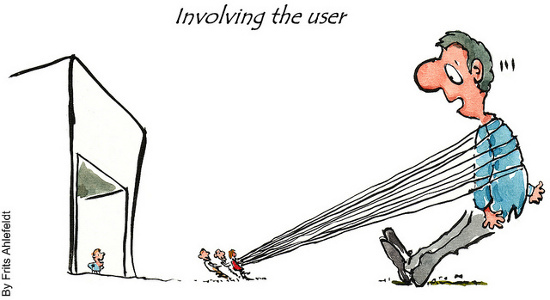 Now, coming back to where we left the user base debate. Why do we not find multiple permanent migrants from Concrete5 to WordPress? The reason is mentioned above: unlike Joomla! and Drupal, Concrete5 has mastered the art of abstraction equally well as WordPress. Thus, the ‘easier to use’ missile in the WordPress arsenal rarely works against Concrete5 (yes, that very ‘easier to use’ missile which has almost put Joomla! and Movable Type out of business). What about other reasons? Security? Customization? Well, for such reasons, users generally hop on to MODX or Drupal (or even CMS Made Simple) and once again, Concrete5 rarely feels threatened by the WordPress empire. Ah yes! I know… WordPress has an extraordinarily high number of plugins and themes, and this is where Concrete5 ends up starving! To a certain extent, in reference to themes, yes. Concrete5 has some themes/templates, both free and premium, in store. No debates about that. However, speaking of plugins, I’d like to differ. Let us be honest: plugins are generally used to save time and add a certain bit of functionality to the CMS (which, if added by means of coding, will take extra time). Now, let us take a simple example of the post editor. 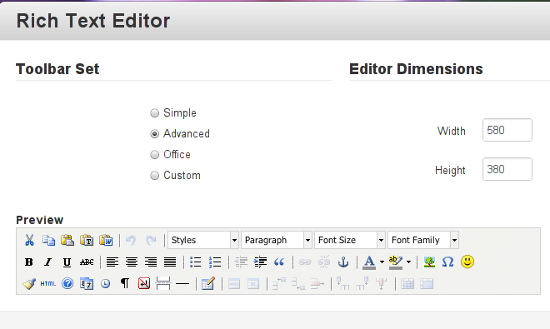 How do you extend the TinyMCE editor in WordPress? Yes, by using plugins, or coding. In Concrete5? Coding stays constant, but the plugin repository is comparatively small, so… what next? Not an issue; Concrete5 itself has managed to find a work-around for multiple features: you can tweak your post editor from the CMS itself, without installing further plugins (see screenshot below). Similarly, sitemap and RSS feeds are features that are provided within the CMS, not by means of plugins. This is how you combine abstraction with customization! Will Concrete5, just like MODX, let me tweak the post editor and make it stronger than titanium? Nope. Will Concrete5 let me extend my post editor so that I can get more out of it, without messing with extensions and code? Definitely yes! Coming to community. WordPress 3.5 recently offered its users the ability to rate plugins and mark them as Favorites. Nice, isn’t it? Apparently, Concrete5 has been offering a remixed version of such community level involvement for over a year or so. You can have your own Concrete5 member account, and access the forums, chat groups and newsletters. Still, at the end of the day, the WordPress community has a larger number of users, and there are more developers actively creating stuff for WordPress. In terms of documentation, both CMSs are doing a wonderful job, but as of now, Concrete5 surely could use some more exposure on tech blogs and websites. What are your thoughts? Do you prefer Concrete5 over WordPress or is it the other way round? Have your say in the comments! I’m a bit late to the CMS game, as I’ve mainly been working on static HTML websites and templates for clients until now. So I’d put myself in the “lost newbie” category! I’ve struggled to find the attraction with WordPress and some things seem more tedious than they should be. Equally some developers I’ve been working in partnership with have been quite critical of WordPress and highlighted certain things they dislike. But other platforms like Concrete5 and SilverStripe have been far easier to access and I’ve been able to build a lot more with them in less time. I really do like Concrete5, and we seem to get on well together! I started my first paid Concrete5 project for a client about 10 days ago, and both of us are really pleased with the results so far. My only gripe about Concrete5 is that I think the support resources for new users could be improved. For example I purchased a rather expensive book by Packt on the use of Concrete5 in November, on the recommendation from the Concrete5 website. But to my dismay, the book seems to be very outdated in some chapters – especially topics like custom block creation and theme development. Also the showcase on the Concrete5 website does not seem to have been updated since April 13th 2012? I think Concrete5 should be shouting much louder and seeking to pull in more people like myself. But I have installed and developed a test theme for Concrete5, and I can say that it’s a quality system and very easy to template, right up there with MODx! So that could be an edge to a template building person. I can build WP templates in my sleep now, but it’s not the easiest CMS to template, as any non-PHP person will tell you. I also got a kick out of the article you linked to where Concrete5 weighed in on the Thesis vs. Matt brouhaha, and Concrete5’s interesting GPL views. That whole thing has come to the fore recently, where I’m seeing that WP is apparently banning Envato (Themeforest) people from official WP events due to Envato’s supposedly non-GPL activities. I think you are pretty close to summing up the two CMSs in most aspects. I’ve used Concrete5 for almost 4 years now (old by C5 standards) and have worked on a whole lot of WordPress sites as well. One distinction that is starting to be drawn however between the two is that Concrete5 is emerging as an Enterprise level CMS where WordPress hasn’t come up to that rank. Concrete5 scales much better than WordPress and with time I think we will see more brand names using Concrete5 for this purpose. Concrete5 will never beat WordPress when it comes to being a blogging platform or an average website platform but I think it still has room to grow. I’ve been using Concrete5 for two years, and I am yet to come across something that it can’t do that WP can (as a CMS). I believe Concrete5 is more versatile than WP, with WP you often default to just looking for another plug-in. With C5 I find there isn’t as much of a need, the options are already in there somewhere. Yes WP has many more addon than C5 and many of the C5 ones are paid for, but with this you get a level of care and support within their marketplace. The C5 community is getting stronger, and documentation is improving all the time as the system grows. I would urge you to take a look at advanced permissions in concrete5. You have to turn them on in the dashboard first, but you can then do very very complex things at the page, block area, even specific block area level than wordpress simply doesn’t try to approach. Again, thanks for taking the time to look at concrete5. Good article Sufyan. For ages, I swore by WordPress. Now, I recommend both — depending on what you want (read on). But all these while, I have been looking for something like Cushy or Pagelime, but preferably self-hosted and open source (C5 is awesome coz it’s MIT). Why I want something like that even though I have been using WordPress for clients for years? Well, something along that line would make editing a site easier and more “visual” for clients. I can just say to my clients, just click and edit, and they will get it. While WordPress has great intuitive UI (now with the admin bar when logged in), there’s that point where the client is taken away from the design to edit content, and it makes the client mind shift a little bit, and they don’t quite know how things are going to look like while editing. I just created my first site with Concrete5 last week. And so far I am liking it. And so is the client. They don’t have to bother me just to update some little “word” or just a photo. But when people ask me, Concrete5 or WordPress, I would still tell them to use WordPress if they want a blogging site, or building a news/magazine/editorial like website. Concrete5 is lacking on that part. You can blog and do news with Concrete5, but it’s the strong-point of Concrete5. For the note, there’s an awesome blogging add-on for Concrete5, but it’s not free. For websites with the purpose of corporate branding, marketing campaign, landing page, minisite, and those sorts, or maybe for easy client editing, I would go with Concrete5. Did I tell you that Concrete5 is MIT license? Yeah… so that also gives you a lot more freedom do white-label, private-label, sell and profit from your codes that rides on Concrete5. I’ve been using C5 for 3 or more years. WordPress is a great blogging platform, but it can get a bit unweildy if you try to push into performing as a CMS for a business. The majority of my clients need both a strong blogging platform and the flexibility, features, and usability of a comprehensive system like C5. I would use C5 exclusively except for the fact that its native blog functionality is so limited. And no, the blog add-ons are not great, the most popular is poorly coded and doesn’t perform well over time. Whenever I build a site with C5, I end up investing needless hours ironing out bugs and glitches in order to get the blog working at a minimal level. Also, C5 sites load times are slow. If the C5 team could improve those two issues, their CMS would be on its way to becoming one of the most widely used platforms. Why do people keep referring to WordPress as a CMS when its a blogging engine that is used as a CMS. Use the right tool for the right job. If your client wants a blog use WordPress else use C5 or Modx. Actually JC, WordPress is now a CMS, it has been pushed towards the CMS side of things over the past few years and now runs brilliantly as a CMS. you can no longer say wordpress is only for blogging. WordPress, at its core, is still a blogging platform. You can see that in the way the system works. Where’s CC5 is built around blocks, editable areas spread across the page, WP is still centered around one central editable area. WP is absolutely not a flexible system in that respect, and it means it is intrinsically useless when hooking up complicated landing pages. I develop and host websites for small businesses and found C5 provides a far better framework for developing business logic and functionality than does WP. Because it’s not a blogging tool, used as a CMS, users can update content directly on the page. This makes it so much easier to teach clients how to maintain their own content. The fact is, most small businesses don’t even want a blog (no matter how much i tell them it is good for SEO). They typically spend their time doing work, not writing about it. And for the occasional blog, I can add a blog package from the C5 marketplace… done. I have used concrete5 for 3 years now building 80+ sites and currently working on some bigger projects with very extensive functionality like STRIPE implementation, Real Estate Listing and Membership sites. C5 is just awesome, it is super easy to customize once you understand the folder structure, etc and it is extremely strong and versatile. I have worked with wordpress before and found the end user to be overwhelmed at times in terms of content management other than blogging. Menu creation for example is still complicated and hard for average peeps. I love C5 and am building pretty much every page based on it. It’s no longer true to say that WordPress is a blogging tool that can be used as a CMS. There are several compelling and free tools that completely change the game in this regard. The first is The Pods Framework: http://podsframework.org/. This a GPL add-on that is sponsored by Automattic, the company behind WordPress. Pods gives WordPress the ability to act as a ‘poper’ CMS. It’s being used by some of the largest organisations in the World and I wouldn’t be surpised to see it end up being subsumed into the WordPress core. The second important tool is Roots Theme (http://www.rootstheme.com/), another GPL add-on that brings Twitter Bootstrap and HTML5 boilerplate into WordPress land. It’s extremely powerful and makes building themes for WordPress much easier (once you get to grips with it). The important thing to note here is that these tools are both GPL – there is an emerging movement around WordPress that is starting to reject the more commercial add-ons such as genesis in favour of GPL tools that do things ‘the wordpress way’. Good article and I wish it touched upon the plugin cost comparison. Are plugin’s relatively the same cost between both platforms? I’m a designer who stepped into developing websites using RapidWeaver. I love it, but I’m getting bigger site opportunities that require database, blog and heavy customer CMS functionality — basically an editorial website. This seems to be too much for RapidWeaver to handle. I was recommended to check out Concrete5, which I’ve never heard of. I like the idea of using something other than WordPress, because everyone and their mother is developing with WordPress — even if they have no design background. Most of my clients come to me after they want to ditch their previous WordPress developer, because of lack of a well designed brand strategy. I hate the thought of learning something new and having to buy all new plugins all over again. Any advice out there? I’m not a code guy, although I’ve had to figure some stuff out to make RapidWeaver work for me. I’m going to use Concrete5 for my next site and see what I think of it. WordPress is ok, but I am ready for another heavy hitter to make it on the scene. WordPress’s QA of their plugins is where they lack in security and I am constantly seeing users of WordPress being hacked through them. If I end up liking Concrete5 I may even try my hand at developing themes! 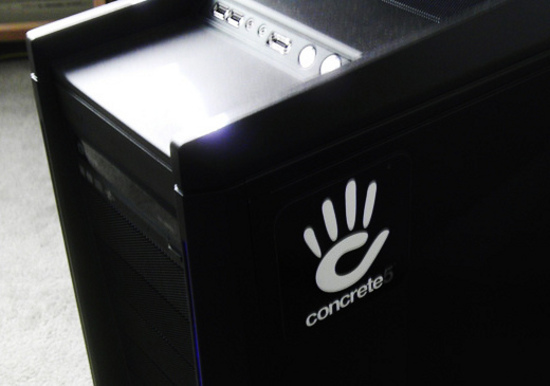 I am a Concrete5 Fan and we perform 90% of projects in this platform. Its quite easy to build CMS sites from PSD files. Most of our £400 projects takes only 2-3 days for completion. We code the PSD files in Twitter Bootstrap which is responsive and we don’t need to charge anything extra for it as we Saves lots of time on the CMS integration. I made the switch from WP to concrete5 and haven’t looked back. I haven’t found anything I can’t do with C5 that WP does, and find customizing it a breeze compared to WP. Really lets me focus on keeping the clients happy. Client uptake on WP was very poor vs concrete5 – I receive far fewer simple change requests and the clients seemingly do much more on their own – which means the CMS is doing its job. Which was the whole point of using one in the first place! I am using Concrete5 very good CMS and for me is better then WP or Joomla. 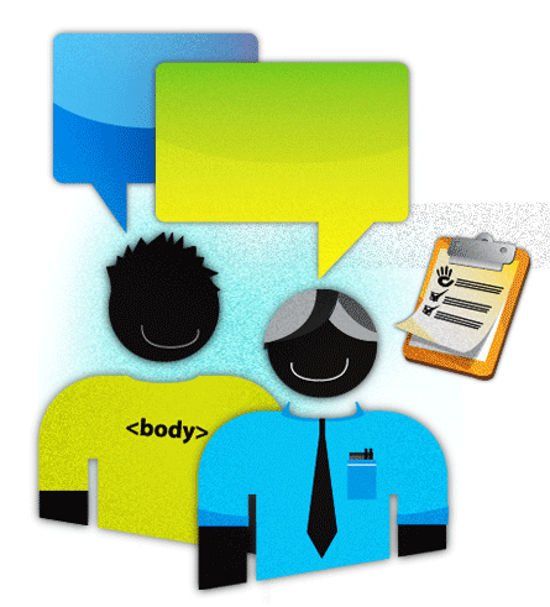 It is very easy to teach your client to add pages or write a blog with composer. And it is very easy to programm Concrete5 (to code) new blocks or other staff so my choice is C5.. I agree with this article very much. But I find one thing missing there that makes me use C5 instead of WP in many projects. C5 seems a lot easier, nicer and cleaner to extend from developer perspective (in means of making new functionalities, customizing old and making themes). concrete5 is the best CMS i have ever used. It has so many baked in features as standard. also when i look at jobs they all mostly mention wordpress as a requirement. Am not sure i could force myself into a job using wordpress now that i have build so many concrete5 themes. The bonus is you can create really big complex sites and still keep it simple for the client to a make their edits. The “designer content” block is a must have add on when building themes in concrete5.